How education systems of the Commonwealth of Independent States (CIS), including countries of Central Asia, should develop and contribute to the achievement of Sustainable Development Goals (SDGs)? How education standards should be improved? What are the mechanisms for regional partnerships among countries in order to achieve SDGs? 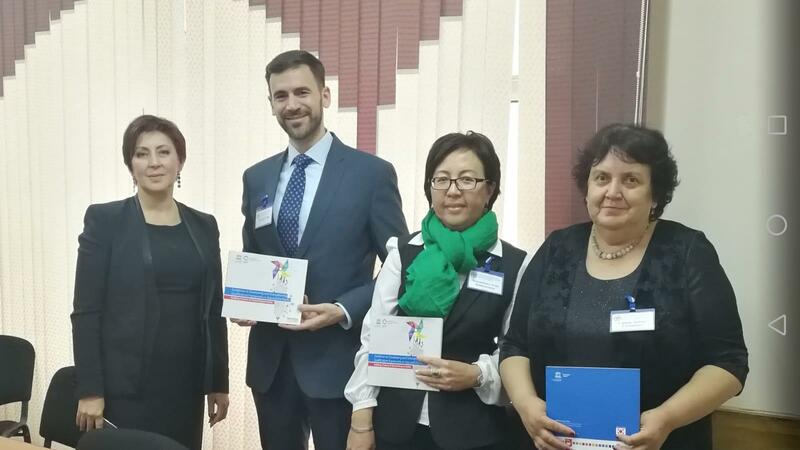 The 5th Congress of Teachers and Educators of the CIS Member States “Development of educational systems in CIS countries in the context of SDGs” answered these and other important questions in Bishkek, Kyrgyzstan, on October 11-12. The congress, organized by the Ministry of Education and Science of the Kyrgyz Republic, intended to establish conditions for regional synergy and identification of new mechanisms for cooperation among the CIS member states in the field of education. On behalf of UNESCO, Mr. Wesley Teter from the Section for Educational Innovation and Skills Development of the UNESCO Asia-Pacific Regional Bureau for Education, made two presentations on how mainstreaming competencies for sustainable development in education systems and developing national qualification frameworks (NQFs) could contribute to the implementation of all SDGs. In particular, the UNESCO’s first presentation suggested that effective implementation of SDG4 could be done through a system-wide change by embedding inclusion, equity and gender equality in education policy and plans, making effective use of ICT to facilitate access and participation in learning, etc. Approaches and guidelines to develop and enhance NQFs were also presented during the Symposium. In total, 450 participants attended from CIS and other countries, including the President of the Kyrgyz Republic, its former President Roza Otunbayeva, and Minister of Education and Science of Kyrgyzstan.